While speaking to TheFix earlier this year, when he confirmed the engagement news, the Today host also suggested the engagement wouldn't be a long one, telling the publication they would most likely tie the knot "later this year". 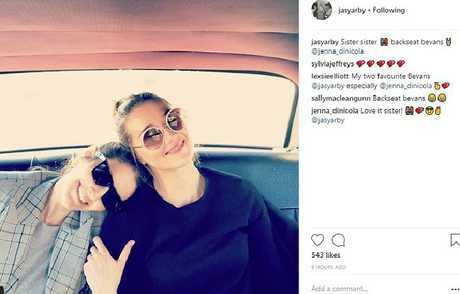 Yarbrough, 34, shared a photo of her with Stefanovic's sister-in-law, Jenna Dinicola, with the telling caption: "Sister sister". Dinicola is married to Stefanovic's younger brother, Tom. She replied to Yarbrough on the post, writing: "Love it sister!" The TV presenter, 44, met the Brisbane-born shoe designer on a lavish boat cruise in December 2016, following Stefanovic's high-profile split with his wife of 21 years, Cassandra Thorburn. Thorburn, who has remained relatively tight-lipped about the divorce and her ex-husband's new girlfriend, opened up to Fairfax in February about his engagement to Yarbrough. "I am just focused on helping those affected by the ever-changing landscape of my ex-husband's life, to navigate it," Thorburn said.